A non-invasive lunch time facelift! Thread lift is a safe, non-surgical alternative to having a surgical face or neck lift. As one ages, the underlying soft tissues of the face progressively lose their elasticity and volume. Thread lift is a non-invasive procedure, designed to raise the brows and cheeks, neck, jowls, and soften lines around the mouth and nose. This technique has been developed over recent years, offering patients results comparable to a traditional facelift. Which areas can be lifted? Apart from the large cheek area, the lift technique can also elevate the brow, upper face and the neck. For many patients, the thread lift procedure can result in a relaxed, refreshed appearance, while preserving and enhancing the natural contour of the face. Who is the best candidate for Thread Lift? The best candidates for Thread Lift are those who are in good physical condition, with reasonably normal skin thickness. 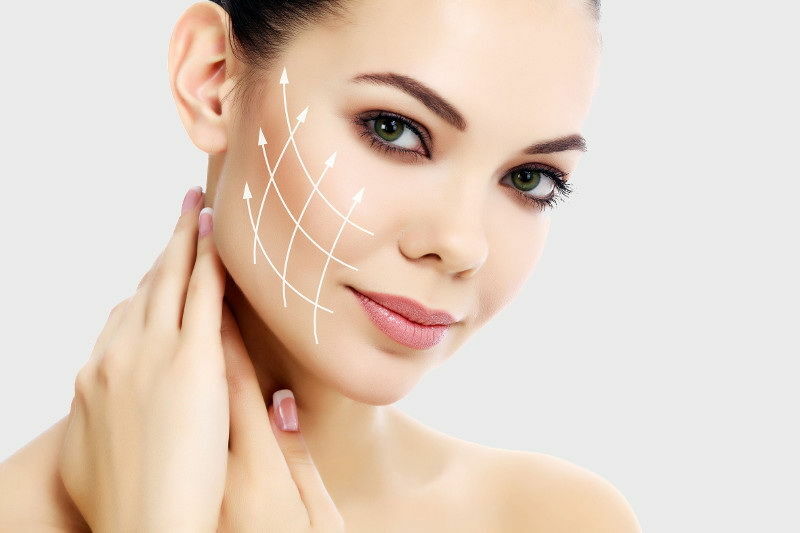 If you have had a surgical facelift previously, but are again experiencing sagging skin, you may still be a good candidate for the thread lift. The procedure is performed with local anaesthetic, and takes approximately one to two hours. Tissue will grow around the threads over the first few weeks, creating a permanent line of supporting tissue. Note: Thread lift only available at Albury & Campbelltown clinics.